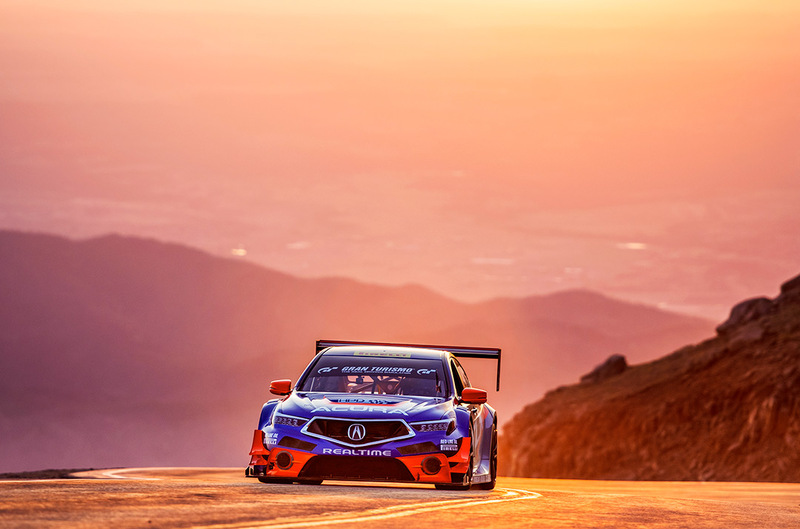 Jun 7, 2018 – TORRANCE, Calif.
Acura returns to the Broadmoor Pikes Peak International Hill Climb on June 24 with four production-based race cars, including the all-new 2019 RDX making its world racing debut. Joining the new RDX, which went on sale nationally June 1, is last year’s Open Class-winning TLX GT, Exhibition Class-winning TLX A-Spec, and Time Attack 1 podium-placing NSX. 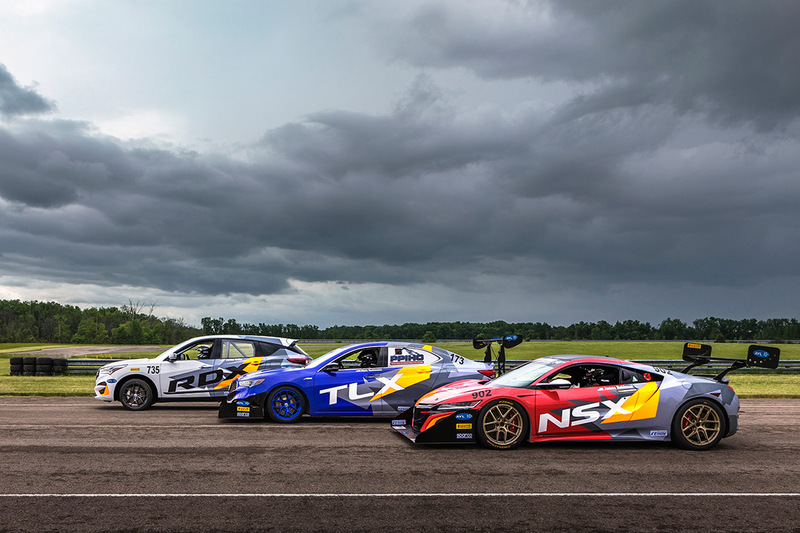 Acura marks its seventh consecutive year competing in the ‘Race to the Clouds’ in 2018. 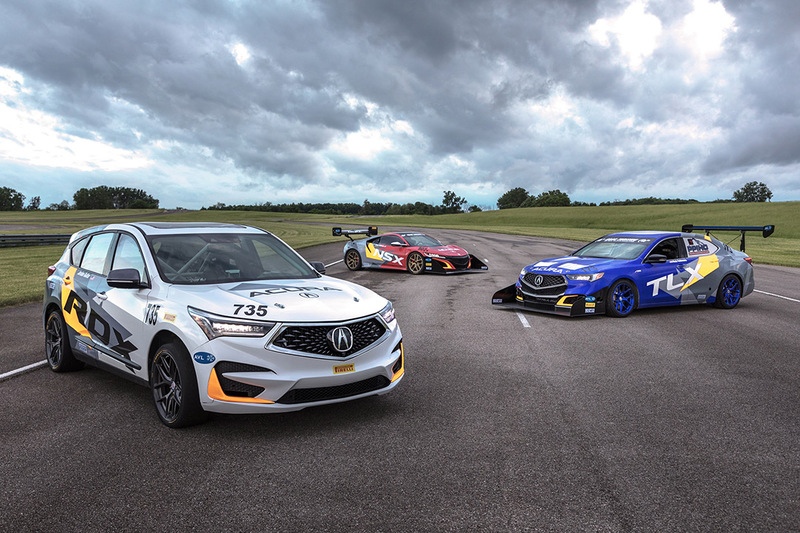 The brand is also returning for the fourth straight year as Official Pace Car and Support Vehicle of the event, with a 2019 RDX A-Spec and 2018 MDX, respectively. 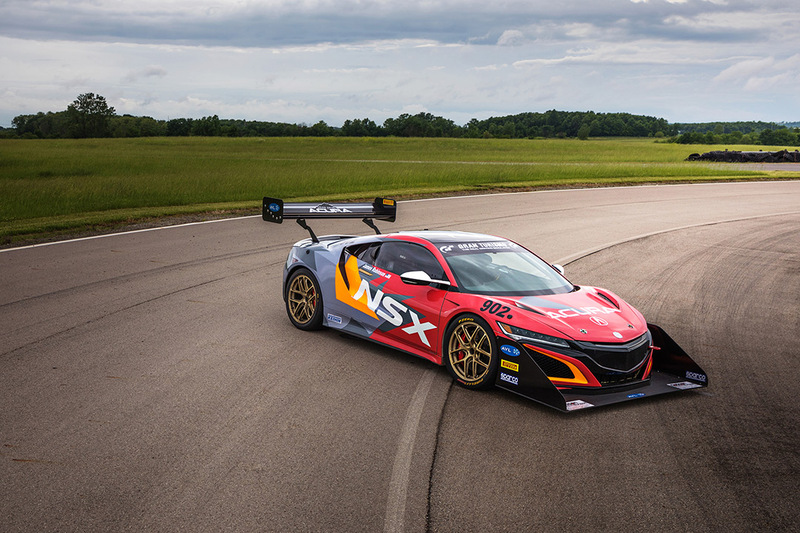 The TLX GT, driven by Acura racing legend Peter Cunningham, will return in the Open Class to build on a commanding 2017 class win, while Acura R&D engineer James Robinson, coming off a Hybrid record-setting run in 2017, will return with a NSX in the Time Attack 1 Class. Acura R&D engineer and brother to James, Nick Robinson, will also return to Pikes Peak in the Exhibition Class-winning 2018 TLX A-Spec. 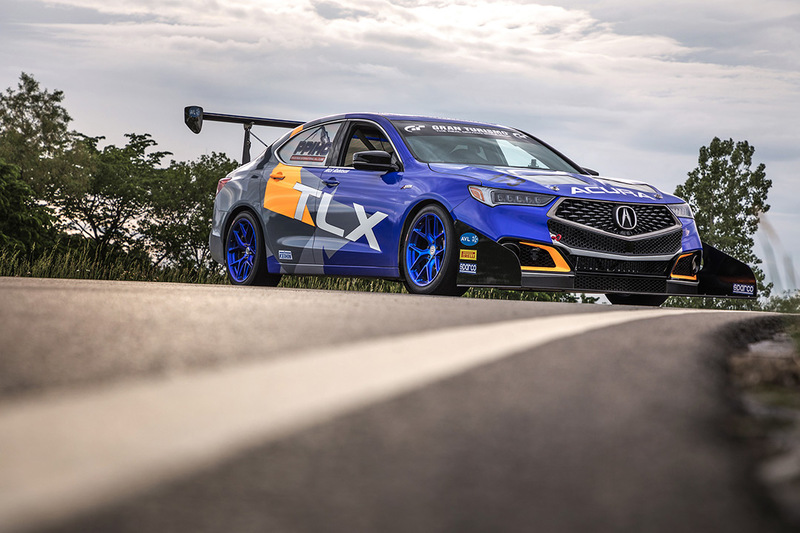 Pikes Peak rookie Jordan Guitar will make his hill-climb debut in the all-new 2019 Acura RDX, competing in the Exhibition Class. A veteran of rally racing events, Jordan is the 2016 B-Spec National Champion and has recently graduated to the Civic Sport Turbo Rally car for 2018. 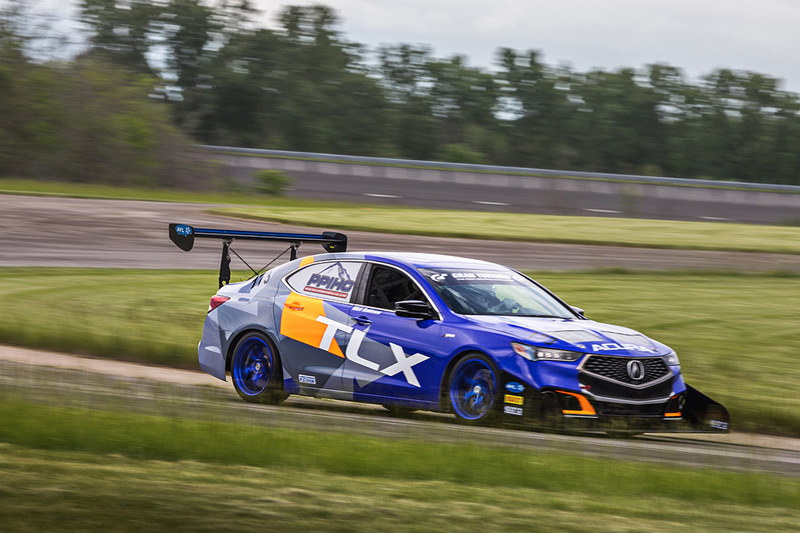 Jordan Guitar of Acura R&D’s North American Chassis Development Group will make the racing debut of the 2019 RDX in this year’s Exhibition Class. The 2019 RDX set to make its racing debut in this year’s Exhibition Class features a production-derived 2.0L VTEC® Turbo engine, along with a sport tuned 10-speed automatic transmission and the newest iteration of Acura Super Handling All-Wheel Drive™ (SH-AWD®). In addition to the lightly modified production powertrain, the Pikes Peak RDX has been fitted with 48-volt micro hybrid technology, including an electric supercharger. The vehicle’s interior has been stripped to reduce weight and improve handling. 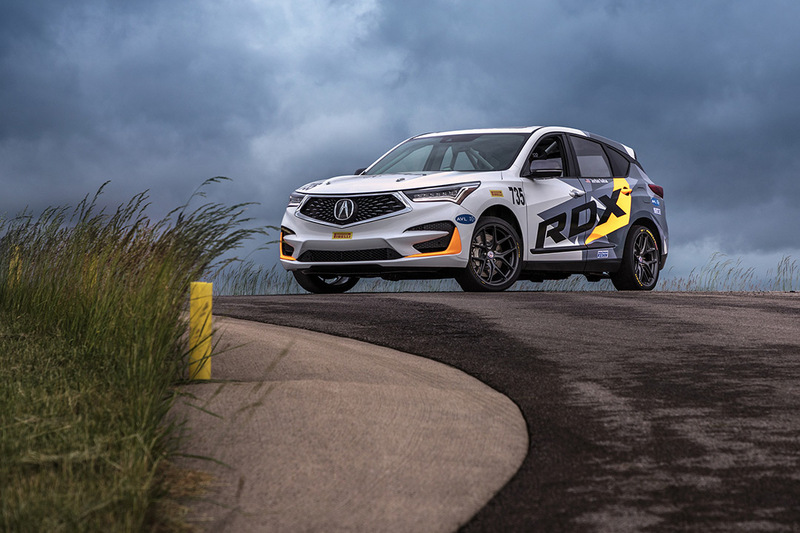 The overall focus of the Pikes Peak RDX is to display the potential of this exciting new platform and highlight new technology that expands driving performance. The Pikes Peak RDX’s VTEC Turbo engine has been dialed up to a peak output of 350 horsepower and 330 lb.-ft. of torque through the use of a larger turbocharger, bigger intercooler for maximum response and electric supercharger to help reduce turbo lag as elevation increases. The 2019 RDX debuts the most advanced mechanical iteration of Acura’s torque-vectoring Super Handling All-Wheel Drive yet. The RDX race car will compete with production SH-AWD hardware, only receiving software changes to increase the rear torque bias. Additional handling enhancements included race-tuned suspension, custom 19-inch HRE forged race wheels and Pirelli racing tires. Braking performance has been upgraded with Brembo front brake calipers and racing pads. 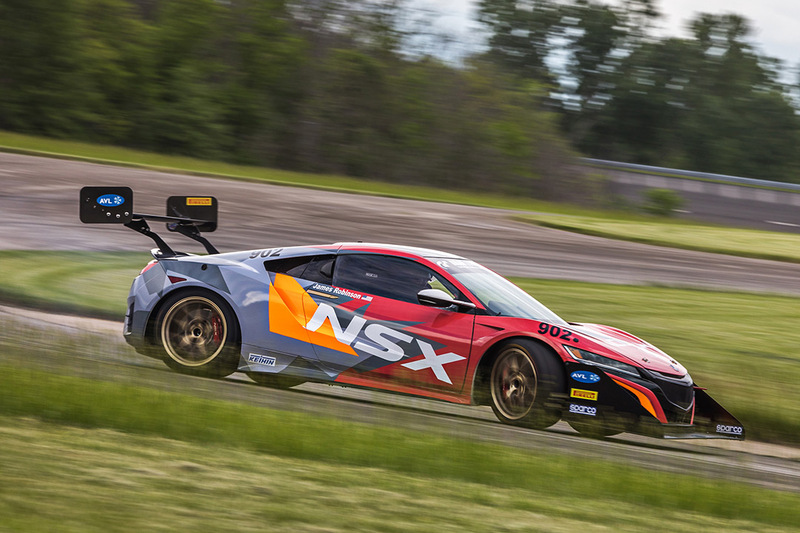 Nick Robinson of Acura R&D’s North American Chassis Development Group will return to Pikes Peak in the 2017 Exhibition Class-winning TLX A-Spec. Following its successful debut in the Exhibition Class last June, the TLX A-Spec returns with a revised suspension, updated 500-horsepower 3.5-liter V6 turbo powerplant and a limited-slip differential. Optimized specifically for this hill-climb course, custom engine software and tuning was handled by an in-house team of the company’s North American R&D engineers. Changes from the TLX A-Spec’s debut in 2017 include a revised aerodynamic package and additional weight reduction. A five-time veteran of Pikes Peak, Nick Robinson had his first victory in 2014 in the motorcycle Pikes Peak 250 class. In addition, Nick piloted the NSX to victory in the Time Attack 2 Production Class, as well as the Exhibition Class win in 2017. 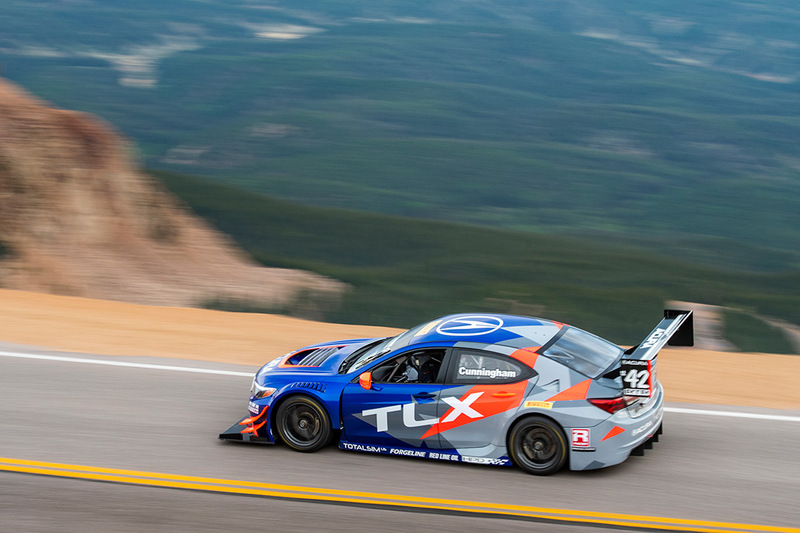 The all-wheel drive RealTime Racing (RTR) prepared TLX GT race car returns to Pikes Peak in 2018 following a 2017 Open Class Record and overall podium finish, featuring a power-enhanced J35 twin-turbo V6 motor setup used in past Pirelli World Challenge Series competitions, but tuned on multiple levels to accommodate the elevation changes of Pikes Peak. The software mapping developed by Honda Performance Development optimizes turbo operation and boost pressures for the decreasing levels of oxygen on the way to the 14,115-foot summit. RTR has built the TLX GT’s suspension specifically for this hill-climb environment, and the transmission’s gearing has been revised for faster acceleration coming out of the course’s many hairpin turns. For 2018, the TLX GT features increased downforce with the addition of a larger front splitter and dive planes that will improve front downforce, allowing the team to dial in more rear wing downforce for balance. Also new this year, with the abolishment of Pikes Peak’s requirement for the Open Class to use D.O.T-approved tires, the TLX GT adds Pirelli racing slicks. The TLX GT will again be piloted by Peter Cunningham of RealTime Racing, which has campaigned Acuras in the World Challenge since 1996 and seeks a consecutive Pikes Peak podium finish following his ‘Rookie of the Year’ debut in 2017. The versatile Cunningham has claimed 14 professional drivers’ championships in his storied career in everything from ice racing, performance rallying and road racing. James Robinson of Acura R&D’s North American powertrain development group (and younger brother of Nick Robinson) will return in the Record Setting Time Attack 1 Acura NSX. An 8-time veteran of Pikes Peak, James has had several podium finishes in the Exhibition Class, Open Class and, most recently, in 2017, the Time Attack 1 Class. In addition, James set the overall Hybrid Record with his ninth-place overall finish in 2017. Building on the successful modifications from last year’s run, the TA1 NSX has been further lightened and aerodynamic elements have been added, including a bigger wing and front splitter. In addition, the production turbochargers have been replaced with larger units to help recover horsepower losses at altitude. The TA1 NSX’s software has been tuned to optimize engine and the Sport Hybrid system performance for the hill climb. Finally, Pirelli R-compound tires will complement the production vehicle’s Super Handling All-Wheel Drive™ (SH-AWD®). As Official Pace Car sponsor, Acura will feature the just-launched 2019 RDX A-Spec, sporting the new Acura design direction. 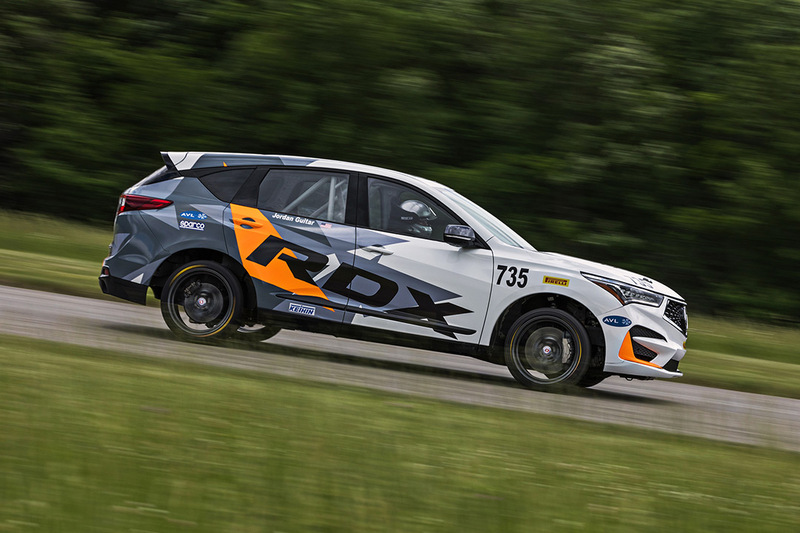 In addition, Acura will provide RDX and MDX track-support vehicles for coaches’ use leading up to the race. 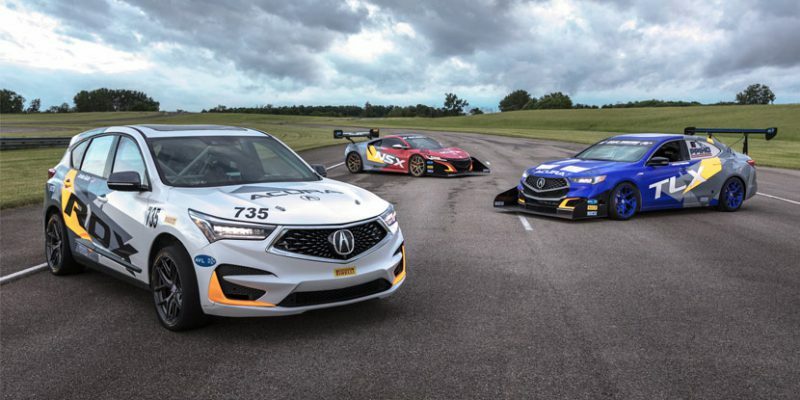 For Pikes Peak race attendees, the RDX A-Spec, TLX GT, TLX A-Spec, TA1 NSX and pace cars will appear at a number of pre-race activities, including the popular Fan Fest in downtown Colorado Springs, 5 to 10 p.m. MDT Friday, June 22.